Our stylish V-neck sweat proof undershirt is made from 95 percent micro modal fabric, perfect to keep you dry all day long. Micro modal fabric is not only lightweight but also airy and offers up to 50 percent more absorbency than cotton. This comfortable and stylish shirt also contains five percent Spandex, allowing it to stretch and fit any body shape perfectly. 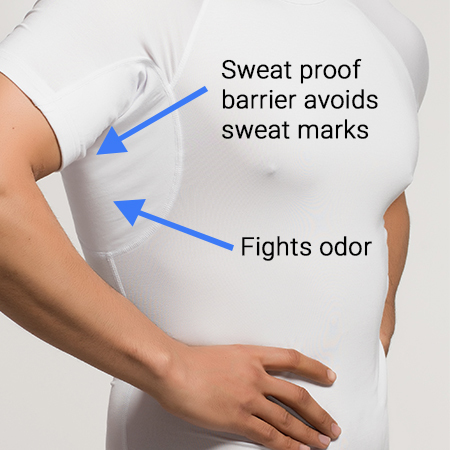 Our high-quality undershirts are made from micro modal materials, which allows for maximum protection when it comes to controlling perspiration. It has an inner layer that provides an effective barrier between your skin and outer garments, while still effectively covers the chest, back and armpit areas. Many people sweat as a result of hot weather or exertion; but some people simply sweat more than others. With around six percent of people suffering from a condition called hyperhidrosis, or excessive sweating, sweat-proof shirts can be a great help. Whether you simply sweat a lot, or are active every day, our sweat proof undershirts are the perfect solution. 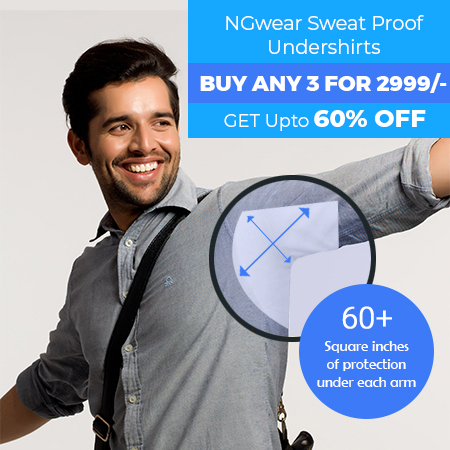 At NGwear our sweat proof undershirts offers much more than simply the ability to eliminate excessive perspiration. With the help of silver permanently bound to the inner fibers of our shirts, it helps to absorb heat from the body when you are hot, while keeping you warm when you are cold. You can now feel comfortable all day as these shirts help to control your body temperature in addition to keeping perspiration away from your outer clothing. When you perspire, the sweat interacts with bacteria and causes unpleasant odors. But our undershirts help to eliminate bad odors with the help of silver woven into the shirt fibers, It also counteracts the bacteria, allowing you to feel comfortable and fresh all day long. You’ll also benefit from micro modal material’s ability to be extremely comfortable and silky smooth, as it won’t irritate the skin at all, or cause any scratching. This high-quality material makes it very comfortable to wear our stylish V-neck sweat proof shirts underneath your clothing. It’s smooth and comfortable enough to allow clothing to simply glide over it. This gives you a stylish, seamless look all day long. 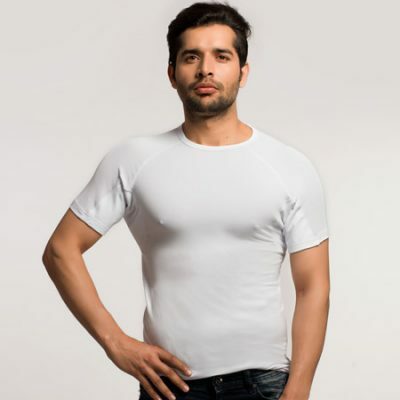 This undershirt from NGwear is completely unnoticeable, as this is also the same material used in many under garments. Our V-neck undershirts are extremely comfortable and stylish enough to wear every day. It can be worn with any type of clothing and this includes a dress shirt, buttoned up with a tie, or even with a t-shirt or dress shirt without a tie. 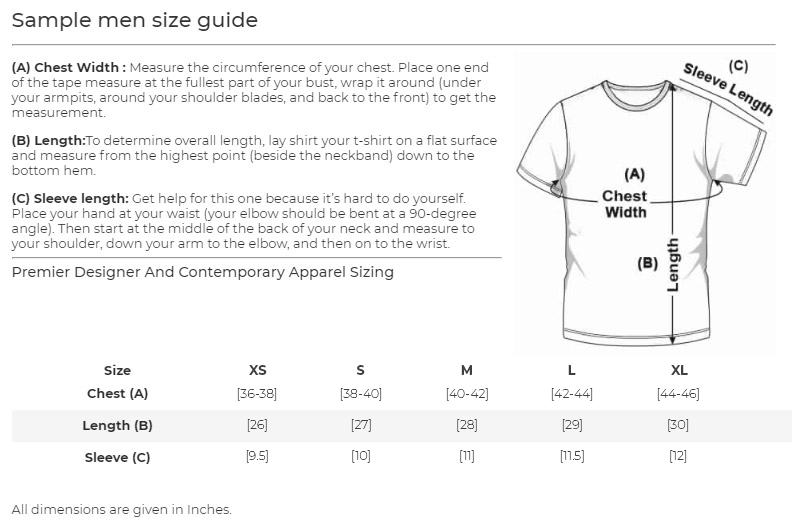 The V-neck design is hidden underneath your clothing, but still effective in covering your chest area. 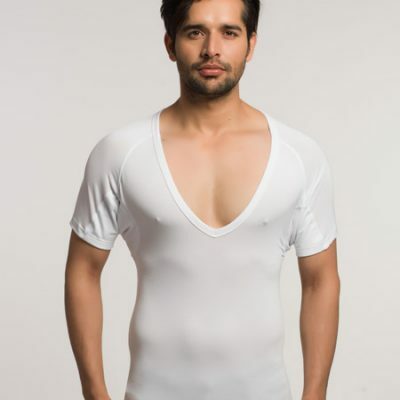 This highly comfortable and effective V-neck sweat proof undershirt is perfect for everyday wear. Modern technology allows it to offer the ideal solution to excessive sweat and odors and it is durable enough to withstand numerous washes. Perfect Product for Sweat Releif !! Thsi product is Great !!! Excellent product, very comfortable Extremely comfortable to wear daily, even if you don't sweat excessively. Very helpful for armpit sweating I can't recommend NGWEAR enough...so good and so comfortable. Buying few more today. Does what it says I have been suffering from profuse sweating. It makes me feel so low. I have been using this for a week now, and I already love it. Will help a lot for people who have the same problem as me. Here my 5 start rating. Guys I know many of us suffer from Hyperhidrosis and becomes very uneasy at situations. Many of us these days believe in statistics, So check the review stats, its only 4 and 5 starts because this products deserves. And here my 5 star review added to the chunk. Its a super material which is much comfortable than you think, the patch in the armpits fits so well and make you feel there nothing under. I am ordering more of these(In colors this time). The seller of this product is sensible and helpful, personally recommends if you might have ordered a wrong size and give you and assurance of replacement and return. So what are you guys waiting for, go ahead add and checkout you cart. Arjun Kapoor This is just works perfectly as described! Very comfortable and useful. worth Have been using for past 1 month..does it job well..
No more dampness The constant dampness under my armpits used to drive me crazy all the time but finally no more dampness thanks to the sweat resistant undershirt. Finally I can dump anti-perspirant I have always used anti-perspirants to get rid of the sweat but it just reduces the sweat and not prevent it altogether. The roll-ons not matter what strength they are, still could never stop the sweat. 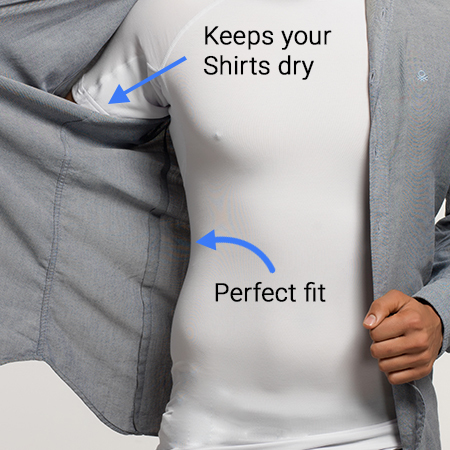 this undershirt is actually a way better solution than any spray or roll-on. This is the real deal! Guys this shirt is a real deal it is not like a false product just advertising. It belongs to the minority of products that work and deliver on its commitments. Stopped Dripping The sweat used to drip from my armpits all the time which used to make me so uncomfortable. This undershirt is completely sweat proof and stopped the dripping of sweat from the underarm region. I'm now a big fan of NGwear. Great products. Works Nicely I bought this t-shirt so that I could get rid of the embarrassment of the sweat patches in public and it helped me do that. I recently discovered this product on web and I swear to God I ordered it instantly. I just wish I knew about it sooner. No more embarrassment due to hyperhidrosis!